Fairview Microwave has introduced a family of coaxial surge protectors developed to protect wired and wireless communications equipment from indirect lightning strikes and power surges. These RF coaxial surge protectors feature voltage standing wave ratio (VSWR) as low as 1.1:1, max power as high as 2kW, multi-strike capability and low insertion loss. They are available with Type-N,4.3-10 and 7/16 DIN connectors. Furthermore, these models are CE and RoHS compliant and support frequency ranges from DC to 6 GHz. The devices are intended for use in Wi-Fi networks, active antenna systems, cellular networks, GPS and public safety communications systems. For more information, visit Fairview’s website. 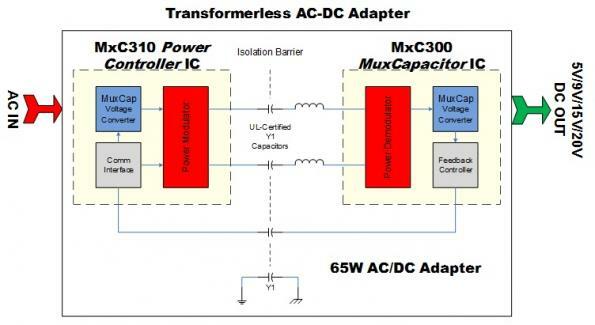 Helix Semiconductors developed the MxC 300 transformer-less chipset, a two-chip system that provides increased power density—up to 20 times higher than transformer-based systems—for 65W transformer-less AC-DC power supply devices. The company’s core energy-efficiency technology, MuxCapacitor, uses switching capacitors for power conversion. By transferring power across a capacitive isolation barrier, the MxC 300 chipset enables the replacement of traditional transformers, which are bulky and less efficient. For more information, visit Helix’s website. RS Components unveiled a cloud-enabled development kit that lets users collect and analyze data on a dashboard within minutes after unboxing. 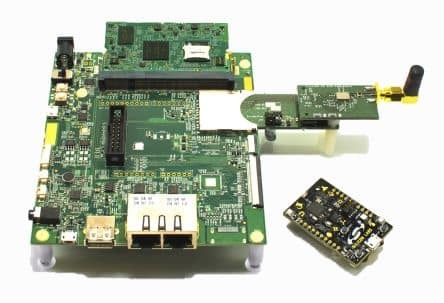 The UrsaLeo UL-NXP1S2R2 kit contains a Silicon Labs Thunderboard 2 sensor module and is ready to connect to UrsaLeo’s services platform in the Google Cloud. Pre-registered access helps developers quickly start configuring their own dashboards and charts, set event-based text or email alerts and run Google analytics.The Thunderboard 2 sensor module contains sensors for temperature, humidity, UV, ambient light, barometric pressure, indoor air quality and gas detection. Additionally, it has a six-axis inertial sensor, digital microphone and Hall sensor. The board also contains the Silicon Labs EFR32 Mighty Gecko multi-protocol 2.4GHz radio,which supports Bluetooth. 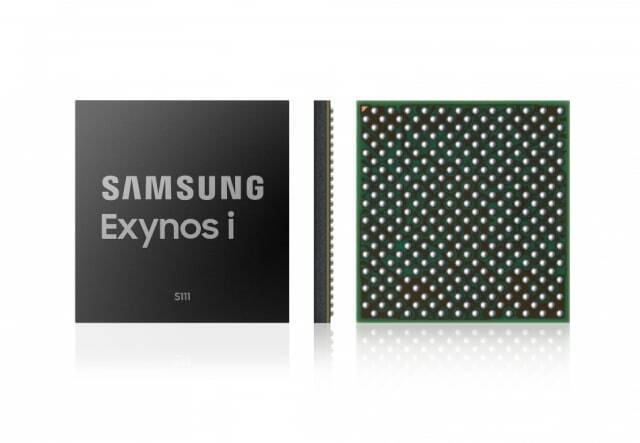 Samsung announced its narrowband (NB) Internet of Things (IoT) system, the Exynos i S111. The NB-IoT provides extended coverage, low-power operation, accurate location feedback and security. It is optimized for today’s real-time tracking applications such as safety wearables or smart meters. The device includes a modem, processor, memory and Global Navigation Satellite System (GNSS) into a single chip design to enhance efficiency for connected device manufacturers. Exynos i S111 incorporates a modem capable of LTE Rel. 14 support that can transmit data at 127kbps for downlink and 158kbps uplink. It can operate in standalone, in-band and guard-band deployments. 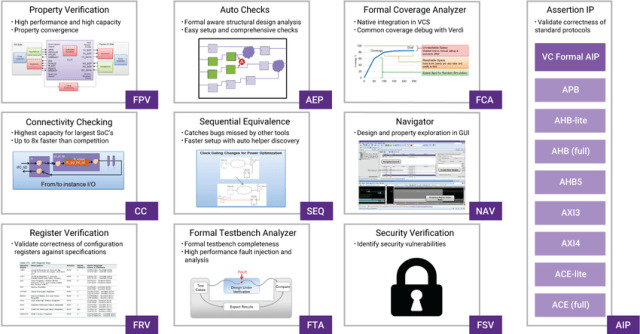 Synopsys released an artificial intelligence (AI)-enabled formal verification app, Regression Mode Accelerator, as part of the Synopsys VC Formal package. The VC Formal app uses machine learning algorithms to deliver 10 times the speed-up in formal property verification during the design and verification cycle. This app accelerates formal property verification to achieve better convergence of formal proofs for subsequent runs. The Regression Mode Accelerator app also saves compute resources in nightly regressions for the verification of complex system-on-chip (SoC) designs to run formal verification in situations previously deemed impractical.